were the only parts in said kit. Mukali I think it was, for the hull planking and set to work. each side of the hull from the shear line to the keel. grain filler applied and rubbed down. that simulated the tree nailing nicely. 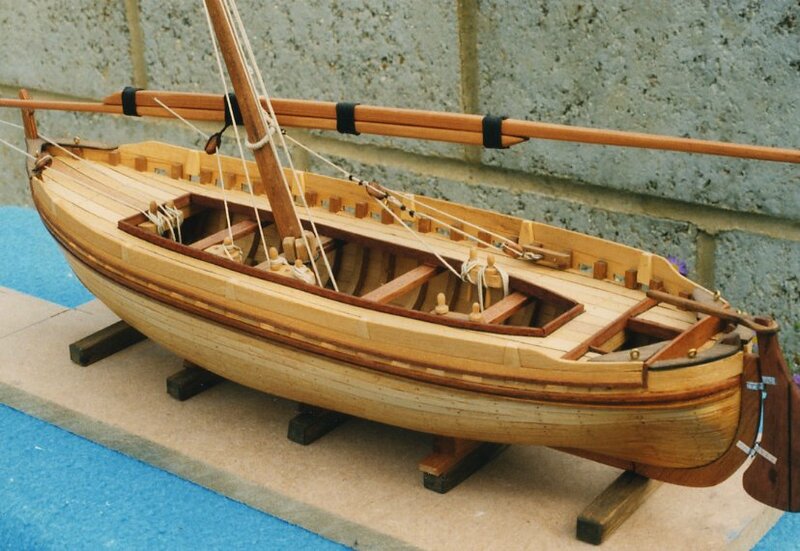 The hull from stem to stern was about 14 inches. the cross beams and laid the decking.